When I said I wanted to do more beauty reviews I never realised that half of them I started doing would end up being on eyeshadow palettes, but what can I say, this girl loves her palettes. This Tarte one I received recently has moved it's way up to one of my favourites probably ever. This is the first time I've used any of their products and I have to say that I really am impressed, from the moment I even looked at it I fell in love! I'm looking on their website seeing what other beauties I can try and pick up, so if anyone has any recommendations for a Tarte newbie then be sure to let me know what you're loving from their site! Let's start with.. the packaging. Which is just honestly too much for my little heart to handle, it doesn't show as nicely in pictures taken with a not-so-great iphone camera but I'm sure you can get the idea. Not only are the colours beautiful and feminine with a beyond pretty watercolour styled shiny pattern on the outside and gold on the inside, I feel somewhat pretty just by holding it. Which is probably the weirdest thing I've said all year. It's a reasonable sized palette considering it fits 12 shades. As soon as I opened it I loved the idea of the mirror, it's pretty big unlike some other palettes which have a ridiculously small one, I use this if I'm ever on the go and need to do even the rest of my makeup because it's just perfectly sized. The case closes securely which I find a lifesaver, even if I sometimes embarrassingly struggle to open it but that just comes down to me being the weakling I am. My favourite thing about this is the mixture of matte to shimmer warm tones. If you're a regular reader of my blog you will know that I'm a sucker for my brown shaded shadows, I try not to be boring but I just find they work best on me. These can be used for both a natural day look but also work perfectly for a dark toned evening look if needed. These shadows all have a very buttery formula, and the pigmentation for the most part is just dreamy. Not only do they apply extremely well but also blend seamlessly, they last quite a while before they start to fade or crease which is handy if you're on a long day out and need something that'll last. I've only worn this palette without an eyeshadow primer and the fact that they still last that long is just amazing. For a high end palette there was a tiny fallout but nothing a quick swipe of a brush couldn't handle and remove quickly so I really am overly impressed. All of the colours go well together and the amount of looks you can create is a pretty high amount, not to mention they all just smell gorgeously chocolatey. I can imagine this palette being in my makeup bag staples for quite a long time, it'd have to take one seriously amazing palette to be able to move me from this one. Have any of you ever used this? If so what are your opinions/favourite shades? 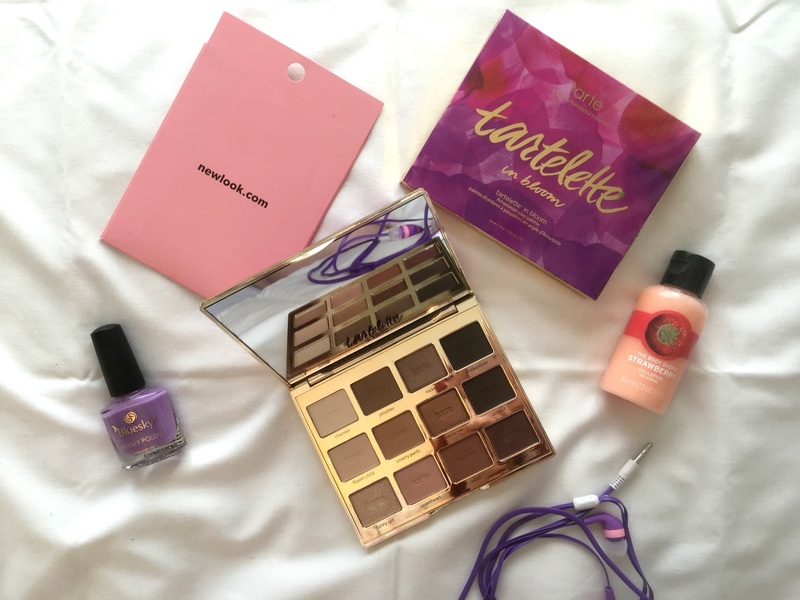 I'd be really interested to here down below in the comments and don't forget to recommend me some other Tarte products! If you're interested in staying up to date on my posts then be sure to click HERE and follow me on bloglovin, I'm so close to 1,300 followers! I've also recently started up my blog Instagram again as it's been neglected a lot this year. It's heading in a slightly different path to how it normally has been in the past but I'm beyond excited to get it properly running again so go follow me over THERE. I've actually been wanting to try a tarte palette for a while but I've heard mixed reviews! 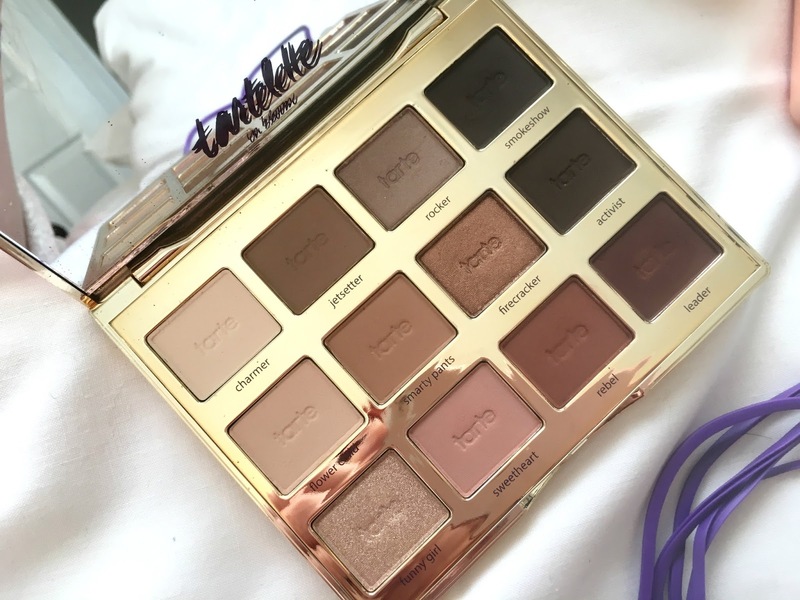 The tartelette palette was the one I was eyeing though, so maybe I will end up getting it at some point or another! Gorgeous palette and incredible review! Oh my god how cute's the packaging too though!! I really want this so bad especially after seeing this blog post.